Using LiGRE’s codification tool will make it easier to ground your data in context, and test your theories! In LiGRE, qualitative data is coded through a simple and easy-to-use three-level arborescence. This arborescence operates as a repository for all the indexing codes that you want to insert in your data, as well as for the facts, categories, and concepts that you want to preserve and classify. LiGRE’s arborescence acts as a powerful but simple taxonomic organizer for your ideas and data. There is no limit to its size and capacity. 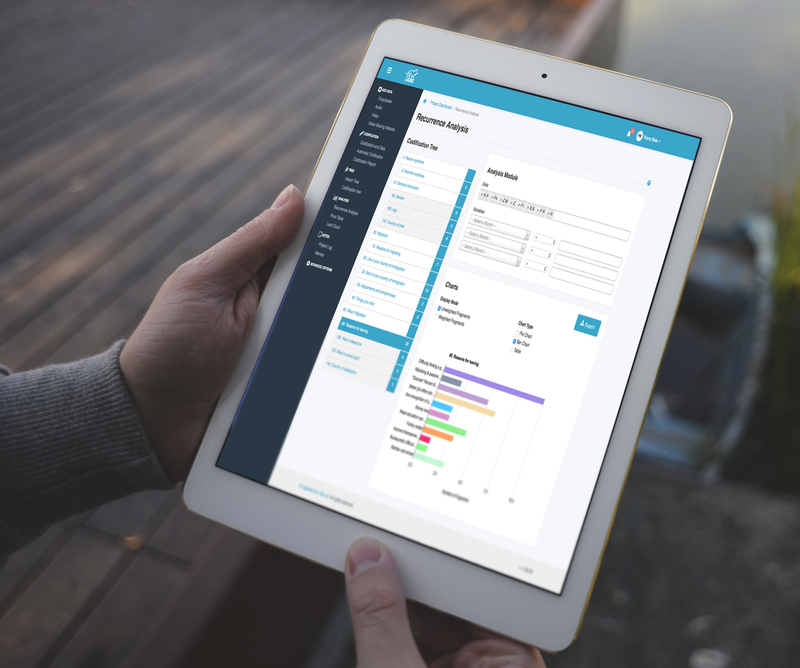 It can be imported from a .doc file and rearranged easily inside the application, as your ideas and research project grow and change. LiGRE’s easy-to-use graphical analysis systems allow you to promptly test hypotheses, locate models and pursue a line of inquiry to a confident conclusion. How many codification levels can be created with the codification tree? You can create three levels: roots, branches, and leaves. 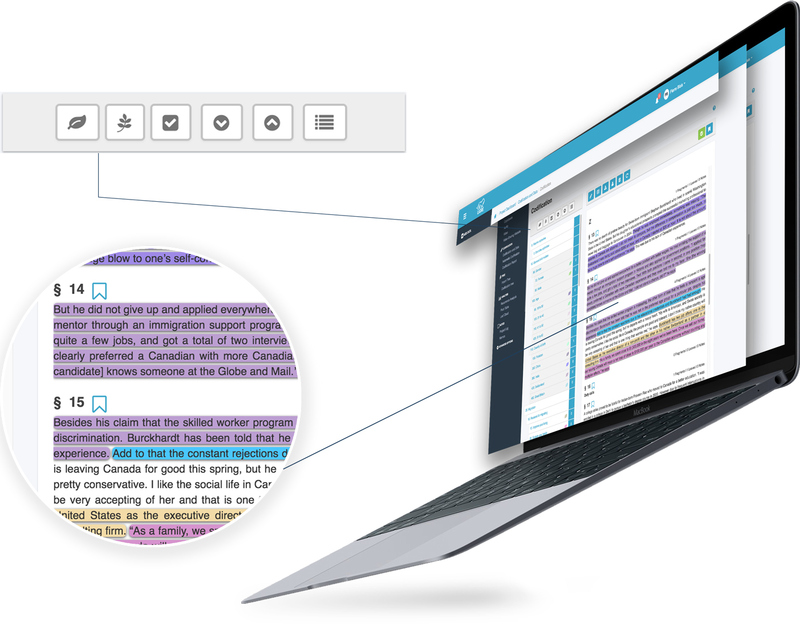 Each leaf is associated with a colour, allowing for quick identification of fragments in the text interviews. You do not have to create all the roots and branches of your tree to begin the codification process; you can codify on orphaned leaves and then reclassify them. Can independent variables be set in LiGRE? Yes. 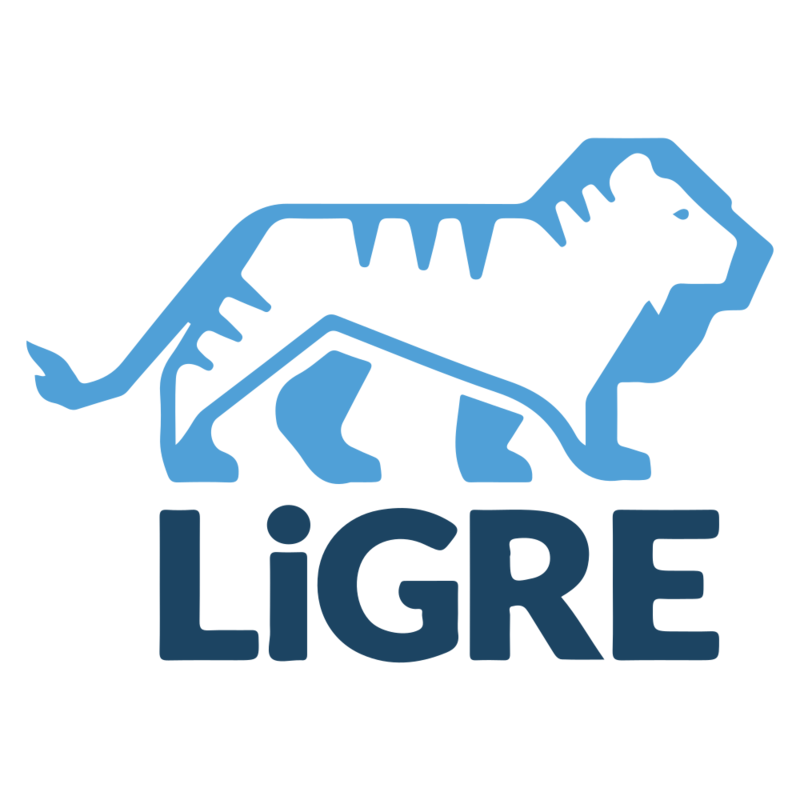 Although there is no predefined independent variable in LiGRE, you are free to set your own. And you can set as many as you want. How does the codification work in LiGRE? Data codification is first made by establishing a list of analytical categories, or, as we call it in LiGRE, leaves, based on the researcher’s knowledge of the theory and data. The researcher then reads the data and assigns codes/leaves to data fragments such as words, lines or paragraphs. This is done simply by highlighting data directly in the text. Can I access my audio and video data while I am coding? Yes. LiGRE has been designed to save you time. 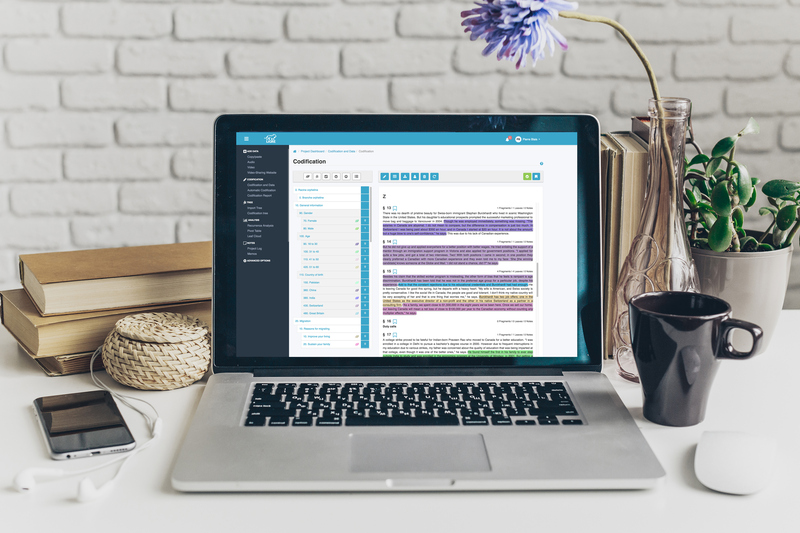 Once your automatic transcription is completed, you can replay the excerpt associated with a paragraph and edit its text at the same time as you codify your data.